St Lucia is supposed to have been discovered by Columbus in 1502, and to have been named by the Spaniards after the saint on whose day it was discovered. It was inhabited by Caribs, who killed the majority of the first white people (Englishmen) who attempted to settle on the island (1605). 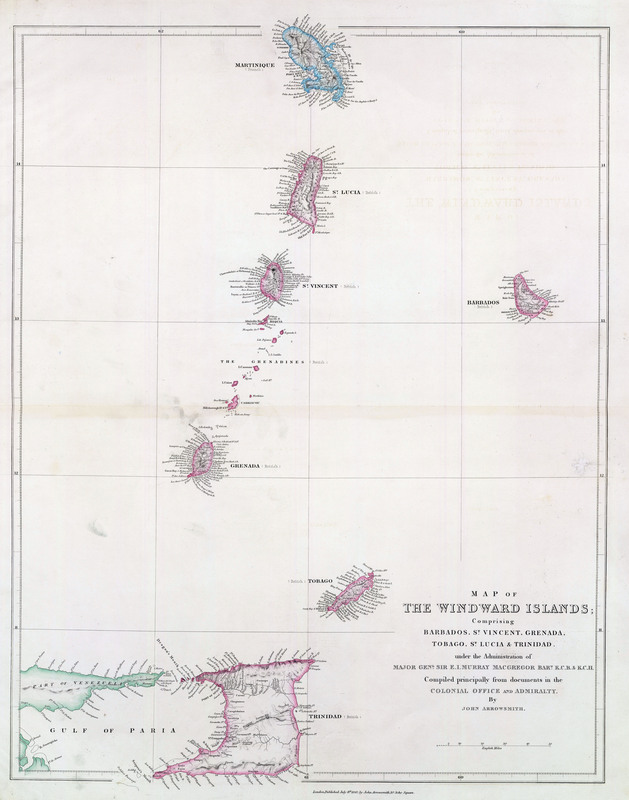 For two centuries St Lucia was claimed both by France and by England. In 1627 the Carlisle Grant included St Lucia among British possessions, while in 1635 the, King of France granted it to two of his subjects. In 1638 some 130 English from St Kitts formed a settlement, but in 1641 were killed or driven away by the Caribs. The French in 1650 sent settlers from Martinique who concluded a treaty of peace with the Caribs in 1660. Thomas Warner, natural son of the governor of St Kitts, attacked and overpowered the French settlers in 1663, but the peace of Breda (1667) restored it to France and it became nominally a dependency of Martinique. The British still claimed the island as a dependency of Barbados, and in 1722 George I made a grant of it to the duke of Montague. The year following French troops from Martinique compelled the British settlers to evacuate the island. 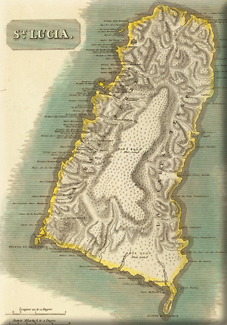 In 1748 both France and Great Britain recognized the island as neutral. In 1762 its inhabitants surrendered to Admiral Rodney and General Monckton. By the treaty of Paris (1763), however, the British acknowledged the claims of France, and steps were taken to develop the resources of the island. French planters came from St Vincent and Grenada, cotton and sugar plantations were formed, and in 1772 the island was said to have a population of 15,000, largely slaves. In 1778 it was captured by the British; its harbours were a rendezvous for the British squadrons and was Rodney's starting point before his victory over the Comte de Grasse (April 1782). The peace of Versailles (1783) restored St Lucia to France, but in 1794 it was surrendered to Admiral Jervis (Lord St Vincent). Victor Hugues, a partisan of Robespierre, aided by insurgent slaves, made a strenuous resistance and recovered the island in June 1795. Sir Ralph Abercromby and Sir John Moore, at the head of 12,000 troops, were sent in 1796 to reduce the island, but it was not until 1797 that the revolutionists laid down their arms. By the treaty of Amiens St Lucia was again declared French. 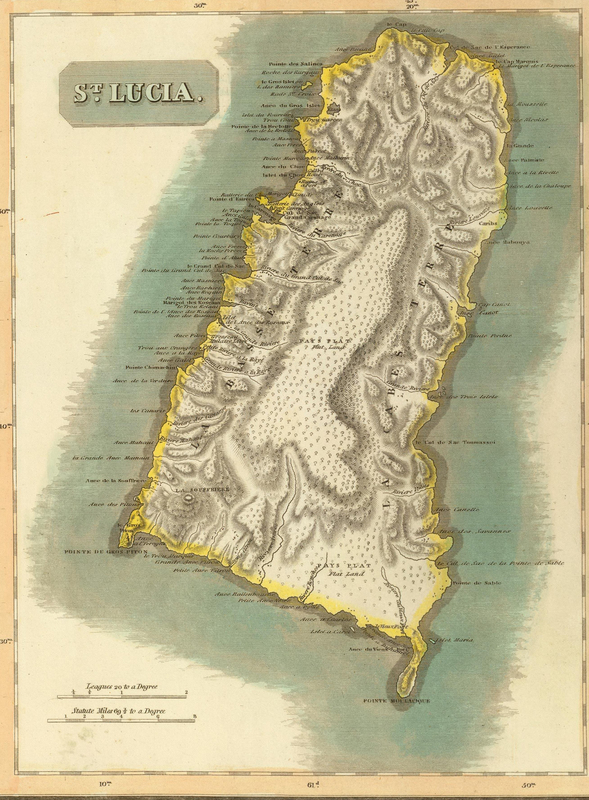 Bonaparte intended to make it the capital of the Antilles, but it once more capitulated to the British (June 1803) and was finally ceded to Great Britain in 1814. In 1834, when the slaves were emancipated, there were in St Lucia over 13,000 slaves, 2,600 freed men and 2,300 Europeans. 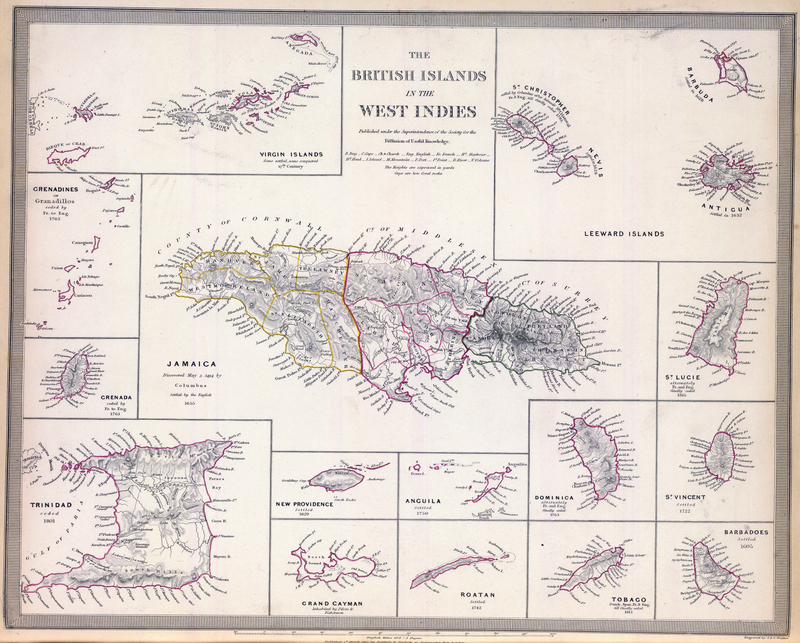 The development of the island half ruined by the revolutionary war was retarded by epidemics of cholera and smallpox, by the decline of the sugar cane industry and other causes, such as the low level of education. The depression in the sugar trade led to the adoption of cocoa cultivation. Efforts were also made to plant settlers on the crown lands with some success. The colony successfully surmounted the financial stringency caused by the withdrawal of the imperial troops in 1905. St Lucia became independent in 1979. The BBC's Tales from the Commonwealth explores the legacy of the Empire in St Lucia.